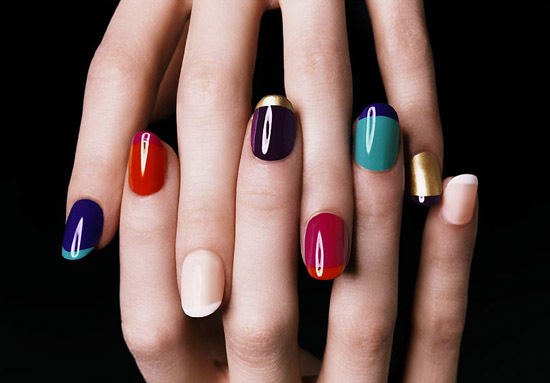 Paint your nails a light tan or sandy color, and add a strip of color to the top of each nail. Bright colors pair well with the neutral brown in the base polish, and make this manicure appropriate for a number of settings. You can choose one bright color like yellow or ice blue for this trendy spin on the French manicure, or paint each nail tip in a different shade for an adorable and creative take on a classic nail design.